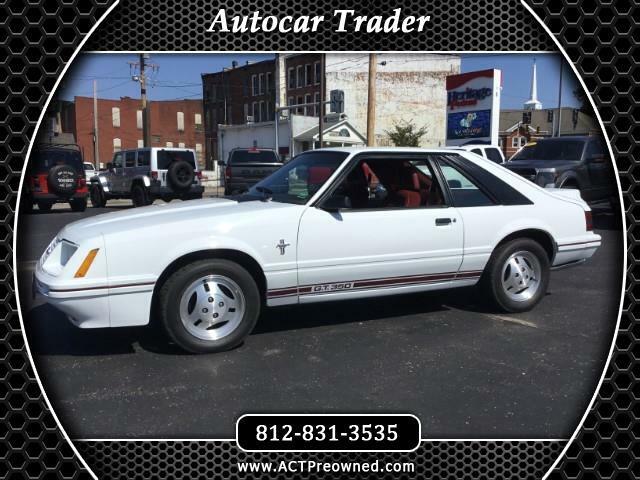 Get your Stang on with this awesome Foxbody!! 1984 Mustand GT 20th Anniversary...with only 62k Miles. This Mustang has a whole book of recepts, info and pics. This car has been very well maintained, and is virtually spotless inside and out. There were only 2600 Hatchbacks made for that year. There are and abundance of modern features such as: 5.0L CARBURETED 8CYL, 3.08 POSITRAC REAR END, POWER BRAKES, POWER LOCKS & WINDOWS, FRONT & REAR STABILIZER BARS, 5 SPD MANUAL TRANSMISSION WITH HURST SHIFTER, NEW EXHAUST AND HEADERS, NEW TIRES, NEW PAINT, AND MORE. Call us today to schedule your test drive. Message: Thought you might be interested in this 1984 Ford Mustang.